Let us increase your PROFITS, while you expand your PRACTICE. 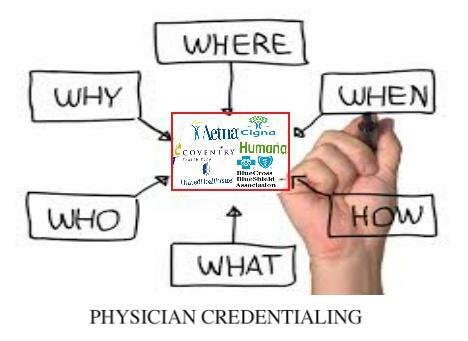 Physician insurance credentialing is the process of becoming affiliated or contracted with the insurance companies so that the provider is able to accept insurance reimbursement compensation for the carriers. Start the process as soon as the provider is given a start date. Though most credentialing can be done within 90 days in many markets, give yourself at least 150 days. As payers have merged and supersized, a practice's ability to "pull strings" and expedite an application has shrunk. You are working on the timeline of someone else — the payer — and each payer has its own internal timeline for application processing. Give yourself some leeway. Be sure to link the provider's start date. This step is especially critical if the provider may be tied to any other group panels. Know your state's regulations. Many states have their own regulatory laws for timely credentialing. Information needed. Make sure the information submitted is complete and up to date. Incorrect work history, and attestations will delay your credentialing process. Up to date CAQH information. The Coalition for Affordable Quality Healthcare (CAQH) database is used by most payers in the nation. CAQH was put in place to make the credentialing and re-credentialing process much easier. ©2018 AW Practice Management Associates, LLC. All rights Reserved.